It's hard to get a picture of Cooper where nothing is blurry. This young puppy is in constant motion! A couple of months ago, Cooper broke his right front foot. 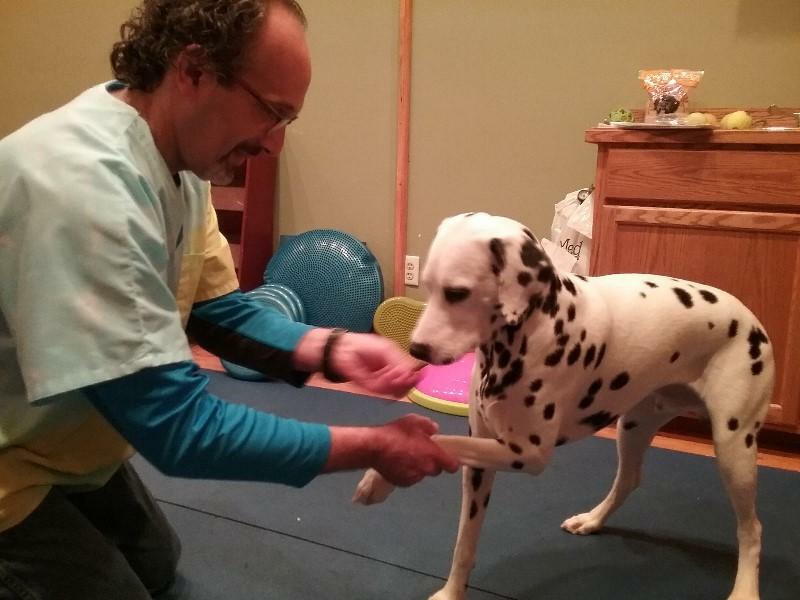 As they always do, Cooper's people relied on Dr. Konegger for the care of their pup. The fracture healed up nicely, but Cooper was still reluctant to fully use the foot. What had not fully recovered was the soft tissue in Cooper's foot, especially the small muscles found in between the bones. Dr. Konegger added some herbals to help the tissue heal more completely. I have been doing rehab sessions to help Cooper regain the strength he lost and also support his healing. Since Cooper is so young, everyone wants the fullest healing now for the best long term outcome. 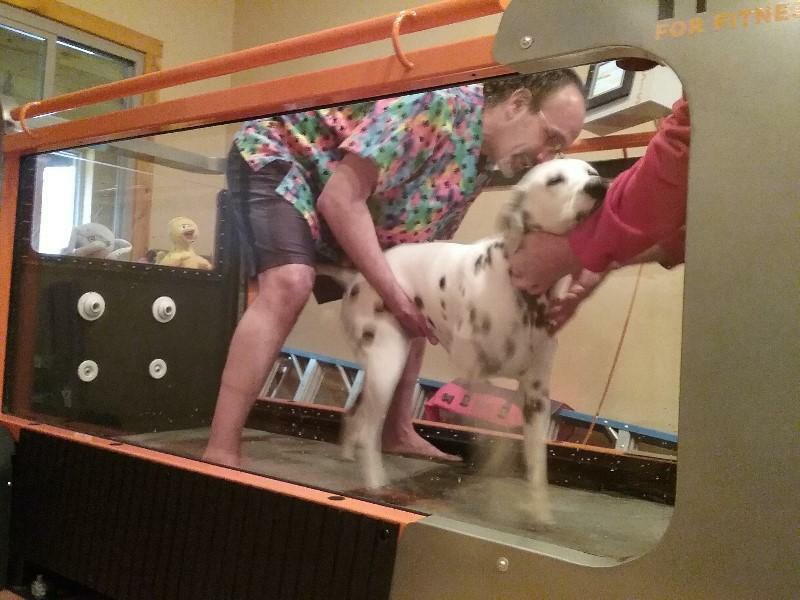 Cooper is a good sport about most of rehab, though the underwater treadmill is not his favorite. That's okay. We get done what we need to get done. With lots of treats and encouragement, Cooper is making it nicely through his rehab sessions. He is getting better and using the injured leg more consistently. We are happy to help Cooper get over this injury.